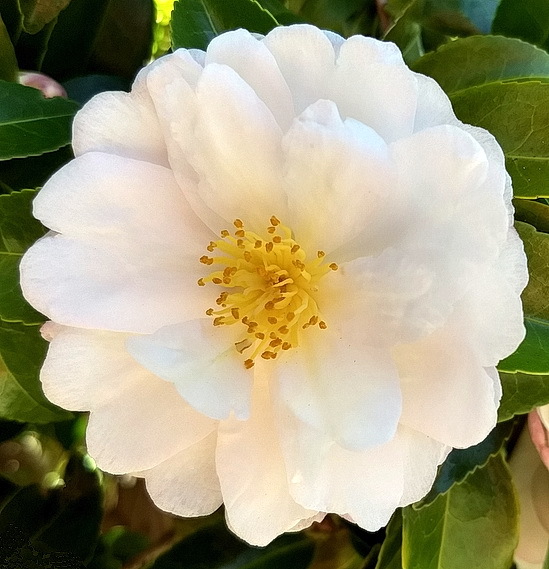 Recommended Varieties — Camellias Victoria Inc. Looking for Data Regarding A Certain Camellia? 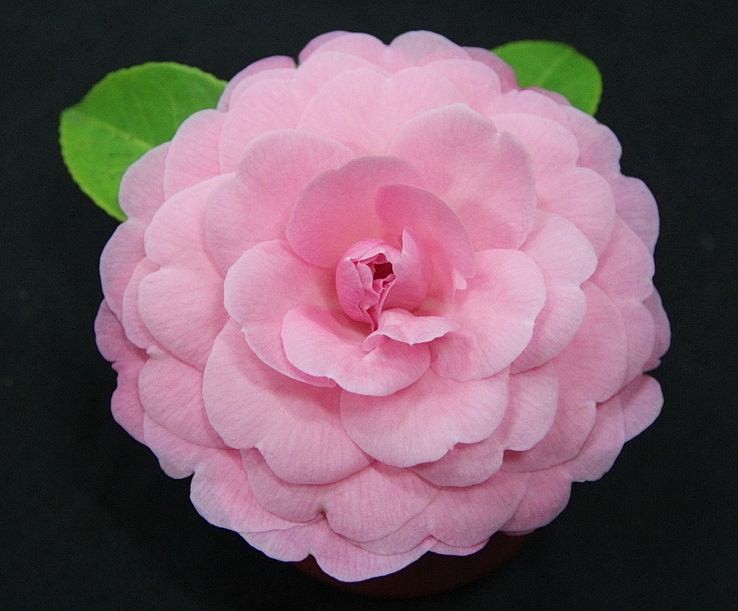 The International Camellia Register is now available online and is open to all. You can download appropriate pdf. page relevant to your enquiry (pdfs are alphabetically listed). You will need Adobe Reader to open the pdf files which is available free on the internet. If you wish to search for a specific cultivar you can enter it's name in the 'Search' pane and the results will be listed on the right side of the page. Click on same to bring up data. The varieties listed below are recommended by experienced growers as being good garden plants which also produce quality blooms. They are, almost without exception, regular winners in shows and competitions, for those who are interested in this aspect of growing camellias, in addition to being attractive landscape plants. It is often unwise to decide to purchase a plant of a variety seen on a show bench without checking with an experienced grower or a specialist nursery. There are some varieties which produce magnificent blooms but are not good growers. 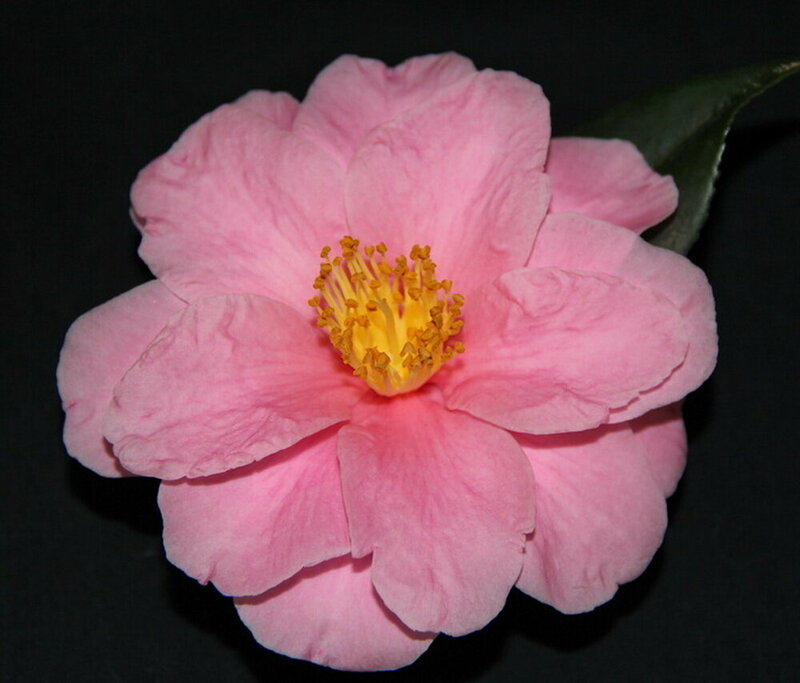 Other show varieties may not be commercially available but, can generally be obtained by interchange of scions between members, which is an important advantage of membership of Camellias Victoria. Some selected cultivars are shown pictorially. ASAKURA - White shaded pink, semi-double. EGAO – Clear pink, large, semi-double. FUKUZUTSUMI – White blused pink, large, single to semi-double. HIRYU (KANJIRO) - Rose pink, large, semi double. MARGE MILLER – Soft pink double, especially suitable for ground cover or hanging basket. PARADISE BELINDA – Mauve pink, large, semi-double. PARADISE SAYAKA – Creamy pink, semi-double. Good upright cultivar for hedge in narrower beds. PLANTATION PINK – Pink, large, semi-double. SETSUGEKKA – White, medium to large, semi-double. STAR ABOVE STAR White shading to rose pink, medium semi double. Long flowering season. YULETIDE Orange red, small, single. Neat bush to about 1.5 metres. BRUSHFIELD’S YELLOW – Cream petals, primrose petaloids, anemone form. LOVELIGHT – White, large, semi-double. NUCCIO’S JEWEL– White washed and shaded orchid pink, peony form. ROYAL VELVET – Dark red large, semi-double. THE CZAR - Light crimson, large, semi double. BLACK TIE – (Small) Dark red, small, formal double. CONFETTI BLUSH – (Small) Pink edged white with occasional red stripe, peony form. LEMON DROP – (Small) White with lemon centre, peony double. ROGER HALL – (Small) red, medium, formal double. SUGAR BABE – (miniature) Dark pink, formal double. TINSIE – (Miniature) Red outer petals, white petaloid centre anemone form. FRANCIE L - Rose pink, very large, semi-double. LADY PAMELA - White centre, pink petal margins, large semi-double. MARGARET HILFORD - Deep red, very large, semi-double. WINTER'S OWN - Soft orchid pink, very large, very large, semi-double. BARBARA ANNE - Rose pink, large, semi-double. BUTTON'S 'n BOWS - Light pink, deeper at edge, medium formal double. ILLUMINATION - Glowing hot pink, medium informal double. Great cultivar for shady spot. NICKY CRISP - Pale lavender pink, medium semi-double. PALE OPAL - White centre shading to pink, medium, loose peony form. WALTZ TIME - Pink/coral, medium, semi-double. WATER LILY - Lavender tinted bright pink, medium, formal double. ADORABLE - Bright pink, medium formal double, compact, upright growth. NIGHT RIDER - (Miniature/small) Very dark black red, semi-double. OUR MELISSA - (Miniature) Pink, anemone form. Vigorous weeping growth. SPRITE - (Small) Light, salmon pink, rose form double. Compact, upright growth. SWEET JANE - (Miniature) Ivory white to pale pink centre suffusing to deeper pink on outer petals. Peony form to semi-double. WIRLINGA BRIDE - (Miniature) White, single with crepe petals. Vigorous, spreading growth. WIRLINGA GEM - (Miniature) Single, pale pink deepening at petal edges. Spreading, compact growth. CINNAMON CINDY - (Miniature) Rose pink with white centre petaloids, peony form. FAIRY BLUSH - (Miniature) Apple blossom with bright pink buds, single form. FRAGRANT JOY - (Miniature) Lavender pink, rose form double. HIGH FRAGRANCE - (Medium) Pale ivory pink, deeper outer edge, peony form. MINATO-NO-AKEBONO - (Miniature) Pink single. SCENTED GEM - (Miniature) Fuschia pink with white petaloids, semi-double. 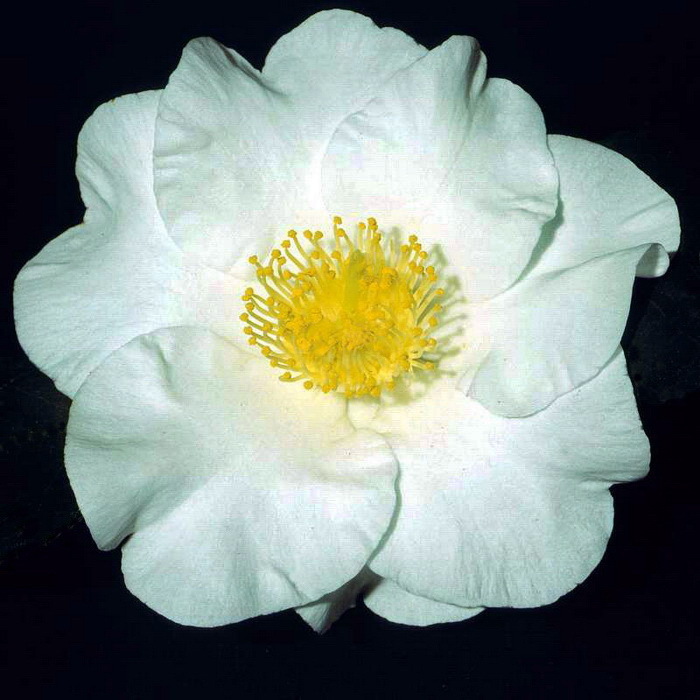 SCENTUOUS - (Small) White with pink reverse to petals. Semi-double. SCENTSATION - (Large) Silver pink, peony form. 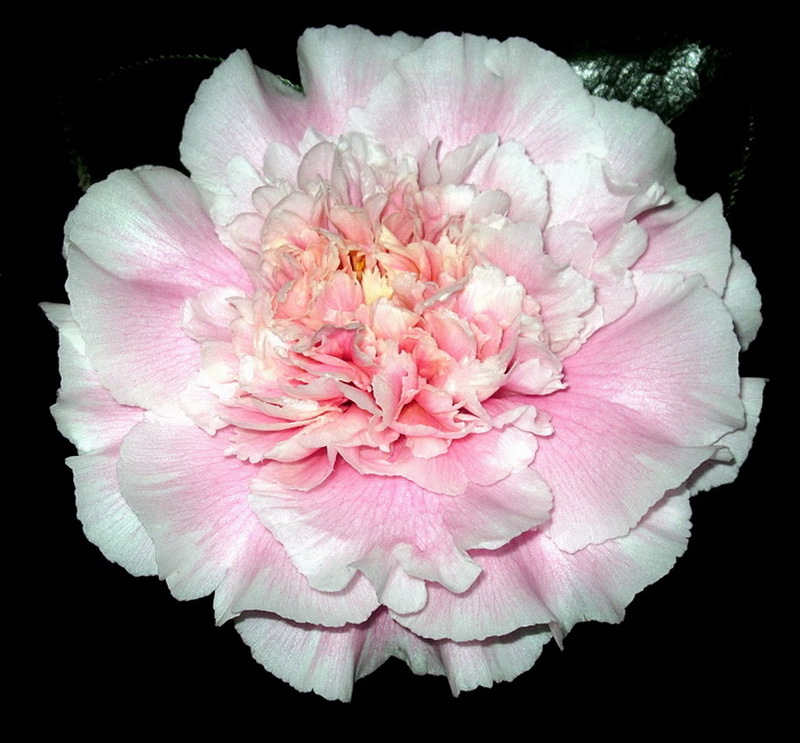 SUPERSCENT - (Large) Cream with pink blush, peony form. SWEET EMILY KATE - (Miniature) Light pink shading to pale pink in the centre. Full peony form. Slow, pendulous growth. ASSIMILIS - Small white flowers but mainly grown for foliage. GRIJSII - White sometimes fragrant flowers. Serrulated leaves. Double flowered from also available. SALICIFOLIA - Small white flower but mainly grown for great foliage colour. SINENSIS - (Cuppa tea plant) Small single flowers, white or pink. TSAll - Small white flowers, fragrant, long narrow leaves. Upright cascading upon itself habit. YEHSIENENSIS - White, fragrant, larger flowered species.